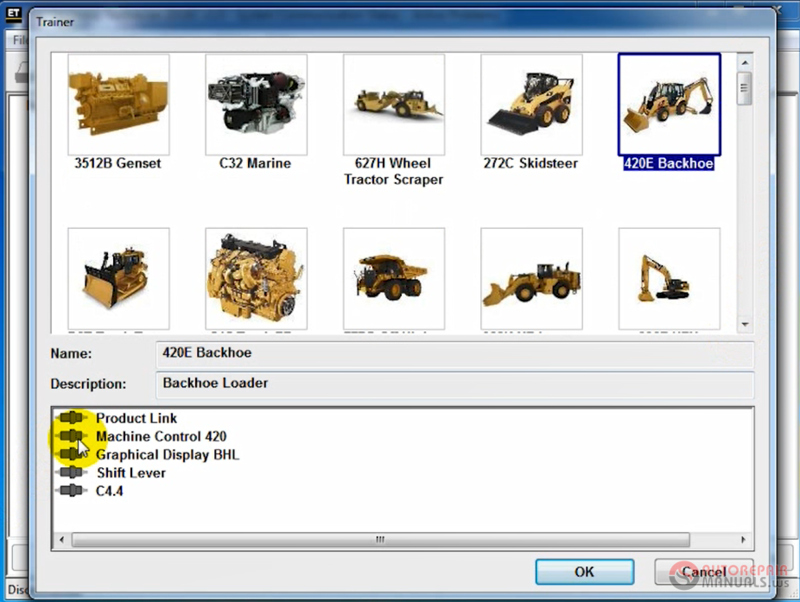 Discussion in 'Heavy Equipment Manuals, Softwares' started by autosoftepc, Oct 21, 2018. 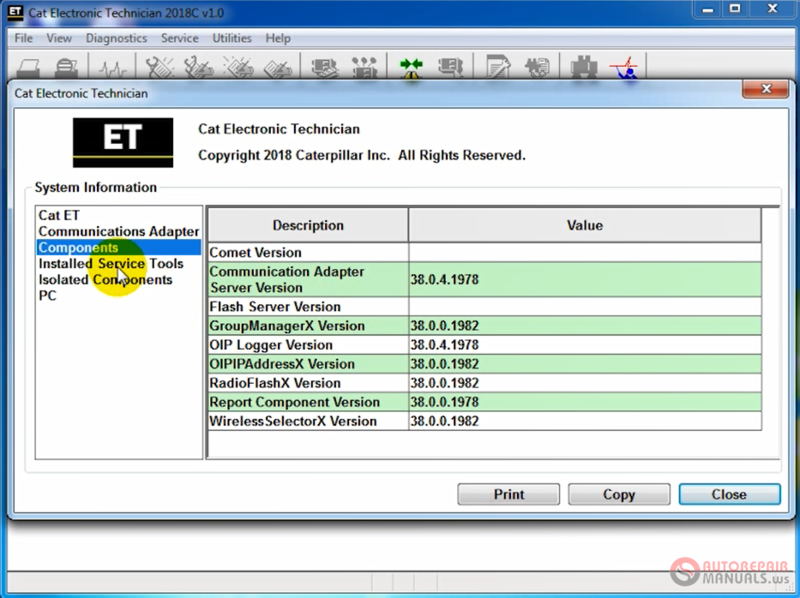 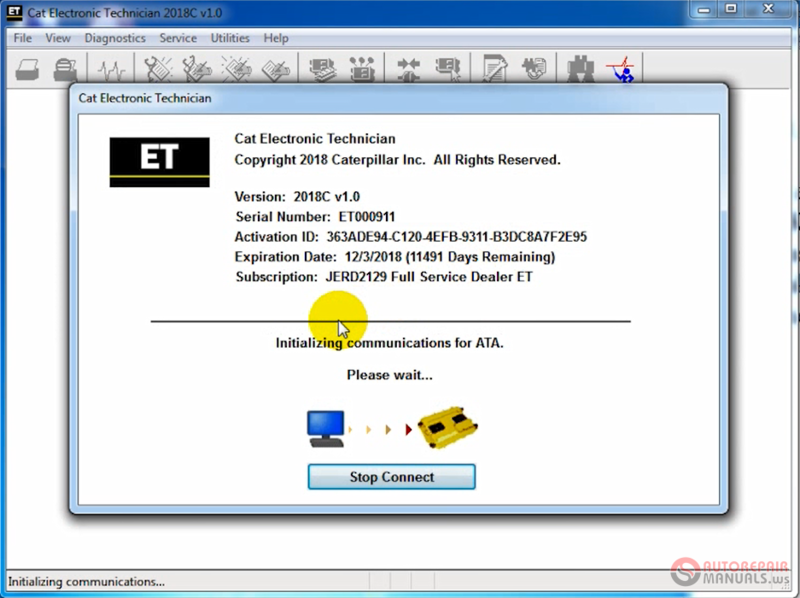 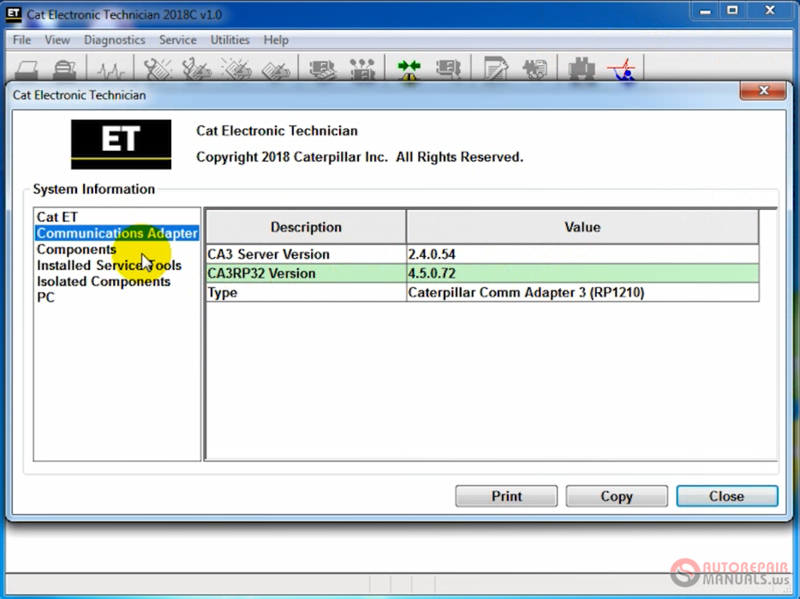 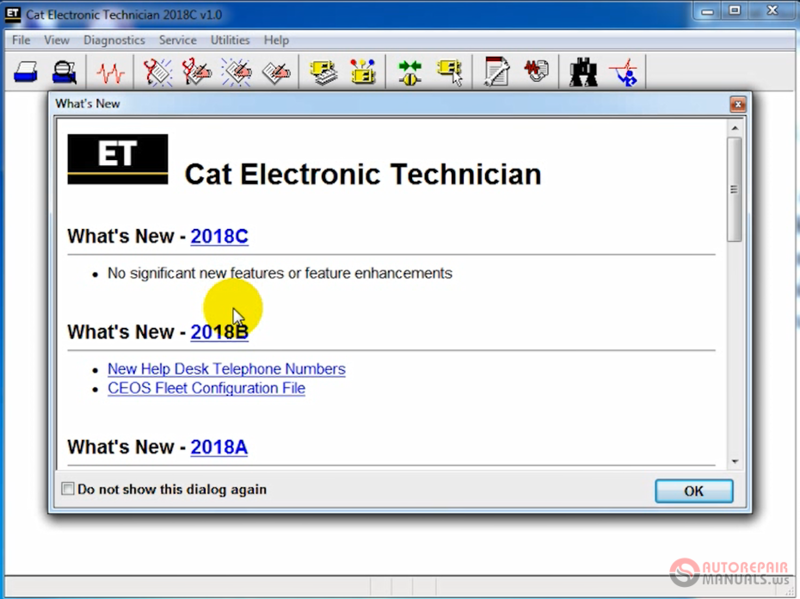 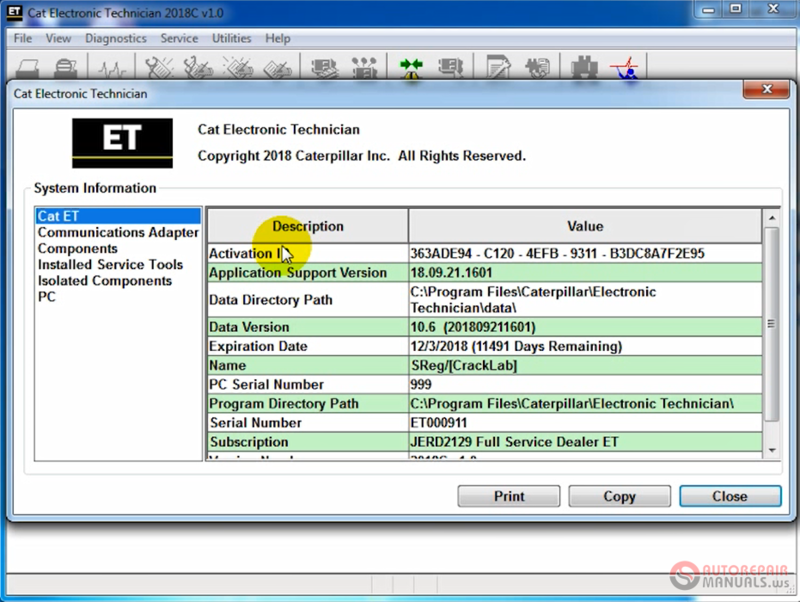 Caterpillar Electronic Technician (Cat ET) is a service tool designed to run on a personal computer (PC) under Microsoft Windows. 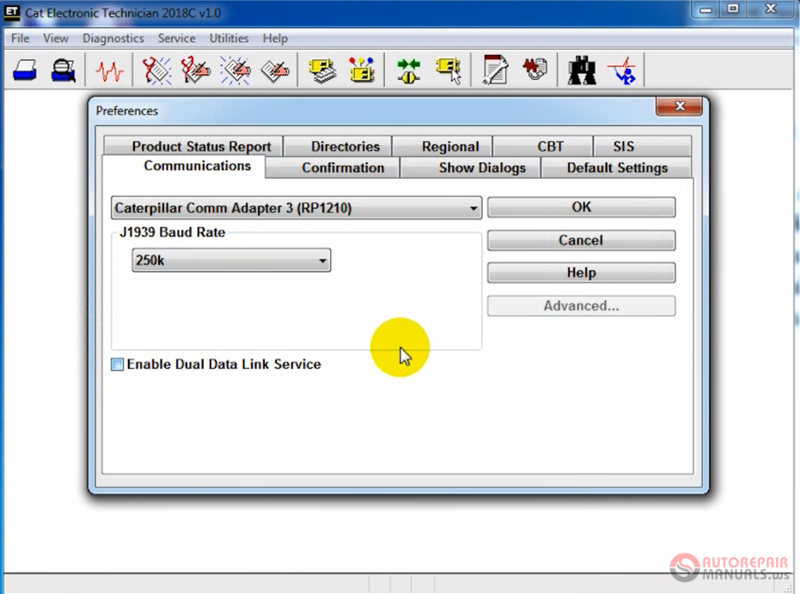 It will communicate with the Electronic Control Modules (ECMs) through a communication data link thus allowing you to diagnose existing and potential problems, configure the product, and obtain data for analysis.? 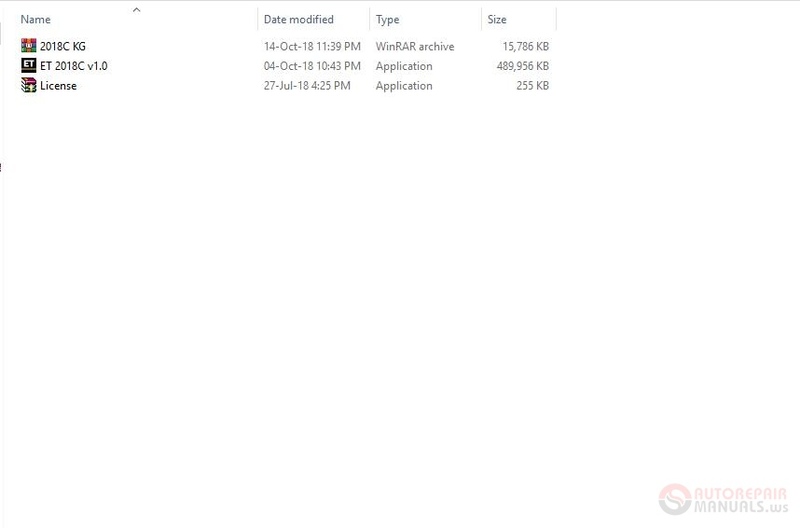 The RAR file is not working. 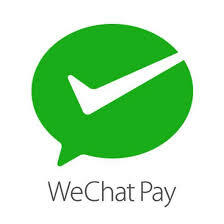 Check in you email thanks.